Our company has been a family-owned and operated business for more than 20 years. 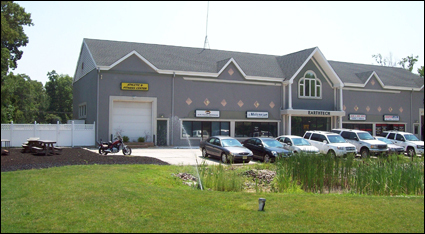 Our 10,000+ square foot facility sits on 7 acres of ground located near the juncture of Cape May, Atlantic, and Cumberland counties. 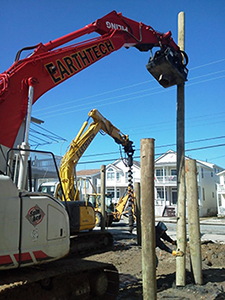 EarthTech is determined to supply the most punctual, dependable and affordable service in the industry. Through our 20+ years of experience and dedicated team, we are continually striving to enhance our current & future relationships. 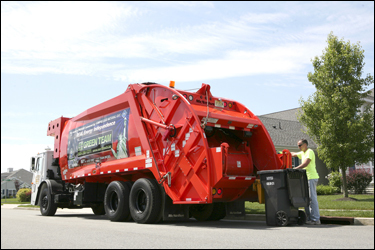 Our philosophy of providing quality customer service has allowed us to grow to be one of the largest privately held trash and recycling companies in the area. 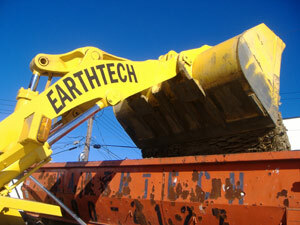 EarthTech takes pride in being the “First Green Hauler” in New Jersey. Our fleet of Compressed Natural Gas trucks are a testimony of our commitment to protecting the Jersey shore by emitting 80% less pollutants into the atmosphere than our competitors and truly being a GREEN company. Best of all, we are a locally-grown and owned company – not a national conglomerate. We BUY locally, contribute to supporting OUR local economy, and pride ourselves in providing excellent customer service. Rest assured you’re dealing with friends and neighbors, not one of those big corporate call centers. At any moment, we can be found discussing ways to improve our service in the lunchroom, not a boardroom. Our company and employees are driven by customer satisfaction and NOT investor profitability! EarthTech fleet of trucks is powered by Compressed Natural Gas and is also LEEDS certified to keep our state as environmentally safe as possible for you and for our future. 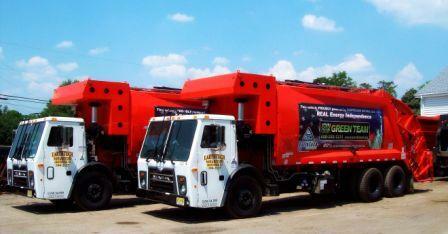 EarthTech Contracting, a locally owned South Jersey company, is LEEDS certified with CNG powered trucks.